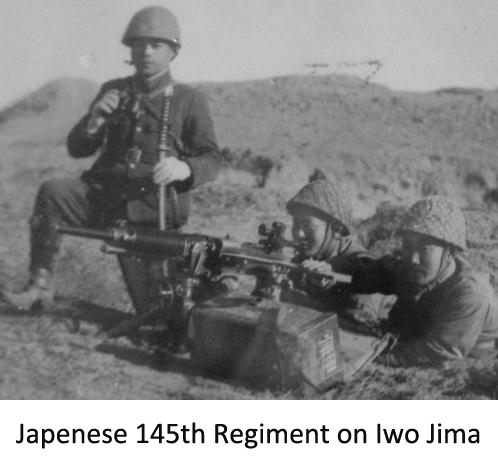 "Battle of Iwo Jima lasted 35 days. 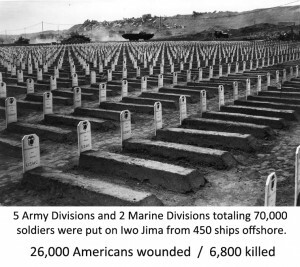 Of 22,066 Japanese soldiers on the island ALL but 226 were killed." About a year ago I ran across this wonderful story written by Aaron Burgin for the San Diego Union Tribune. 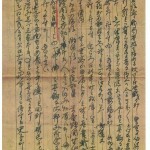 It’s another true tale about a long forgotten letter that lay dormant in a box that travelled across the country for 67 years until its current, random, caretaker discovered the letter and decided to track down the family who sent it, and of the latent, enormous power and joy that were unleashed when he successfully accomplished his task. 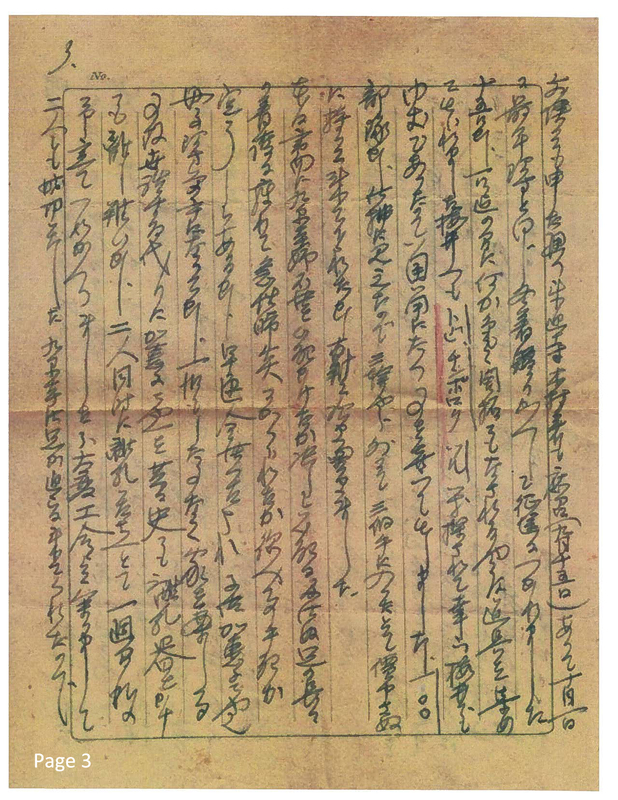 I, of course, am particularly fond of stories like this because Emily Sue Buckberry did the very same thing for me when she stumbled again upon the letter from my father waiting in a box in her mother’s garage and decided to get it to me 40 years after he wrote it. 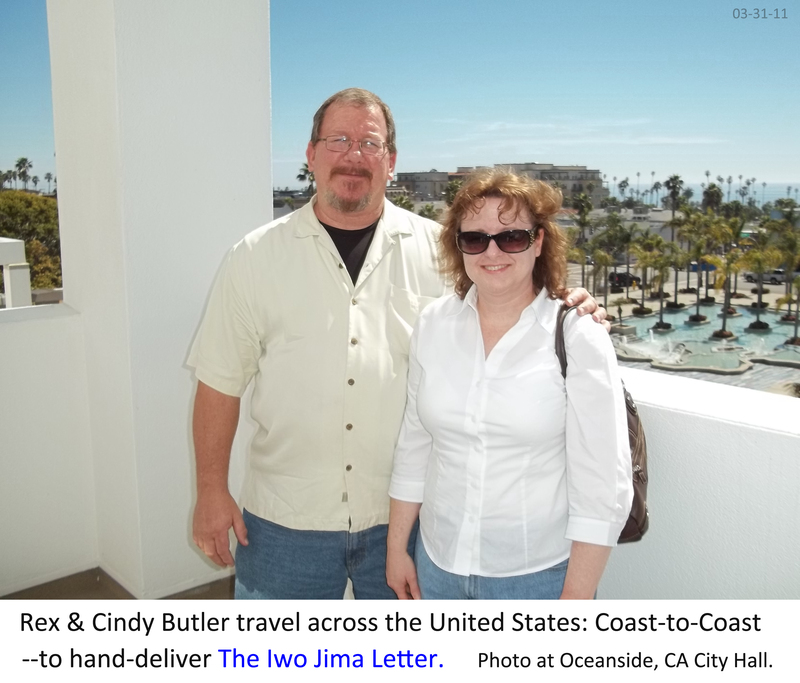 [Read that story: The Letter] It makes me wonder about how many miracles are hibernating in boxes in each of our homes or offices just waiting for us to help them get to where they’re supposed to go. And the lives that are poised for dramatic change if we do these simple, random, acts of completing the connections. It gives me goosebumps thinking about it. 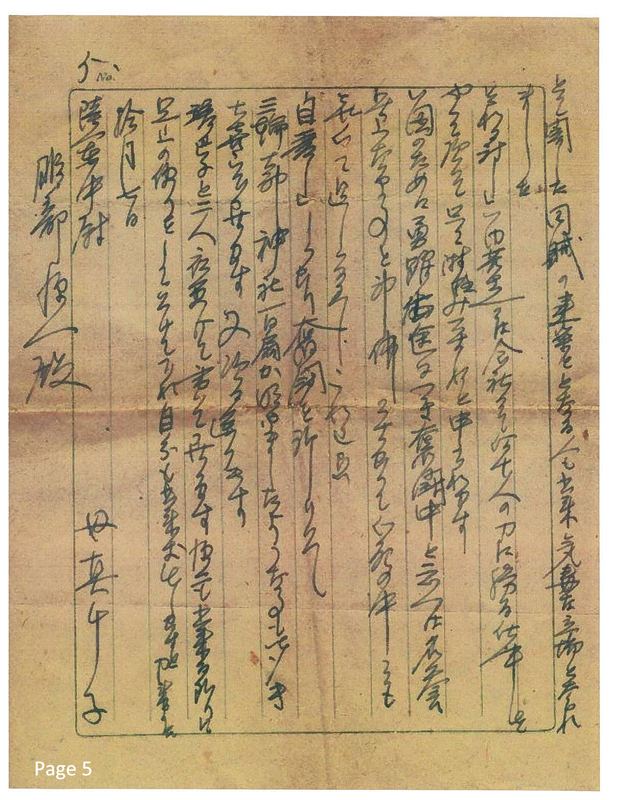 In October 1944, as American planes bombarded Japan and closed in on victory in World War II, a Japanese mother wrote a five-page letter to her son, a lieutenant fighting on Iwo Jima, the site of some of the war’s fiercest fighting. 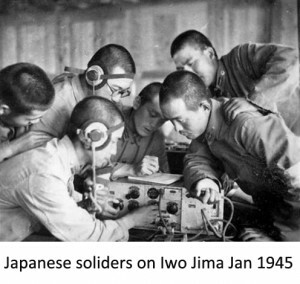 WMSB Editor’s Note: In October 1944 an airborne armada of 800 American four-engine B-29’s began the bombardment of the Japanese mainland from China and 5 island airfields that are mentioned in other stories here on Write Me Something Beautiful. 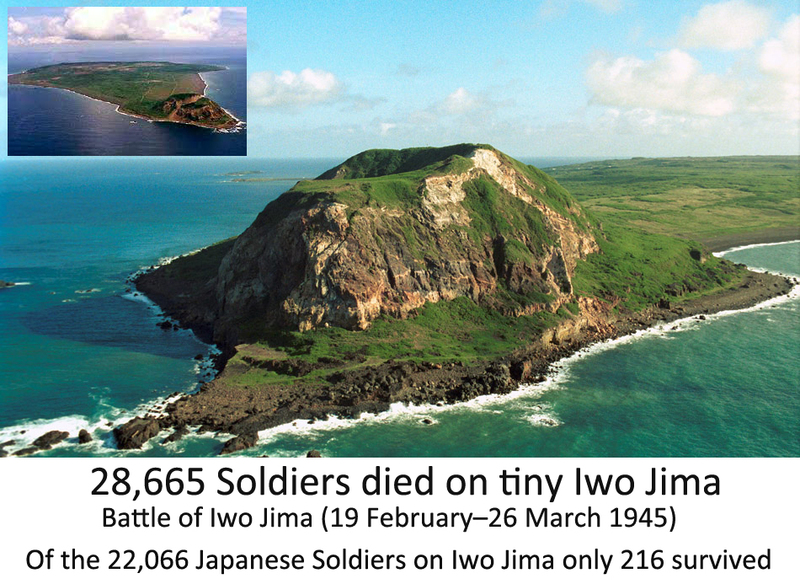 Iwo Jima is a tiny dot of an island just over 4.5 miles long and 2.5 miles wide. The Japanese soldiers had to endure a combination of naval assaults and aircraft strafing and bombing that started June 15th 1944 for almost one year leading up to February 16th, 1945 when the US Navy pummeled the small island with a naval bombardment that lasted 3 full days leading up to the real fighting that began on Monday, February 19th 1945 at 8:59am, just 4-months after the lieutenant received his mom’s letter. 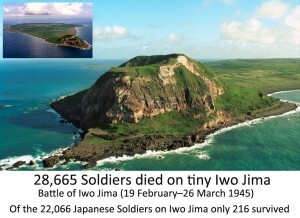 The Battle of Iwo Jima was thought to be necessary for the Manhattan Project’s, then top secret, need for an island airstrip close to Japan for the delivery of the atomic bomb – or so was the justification by the USAF at the time – although the B-29 (the Enola Gay) that carried the first atomic bomb actually used the further-distant island of Tinian [Read that real WWII story: GROVER CLEVELAND GAUNTT, JR.]. 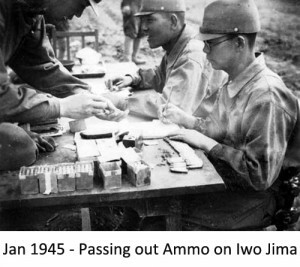 Unknown to the soldier’s mom when she penned the letter, her son had virtually no chance of surviving the Battle of Iwo Jima that lasted 35 bloody days. 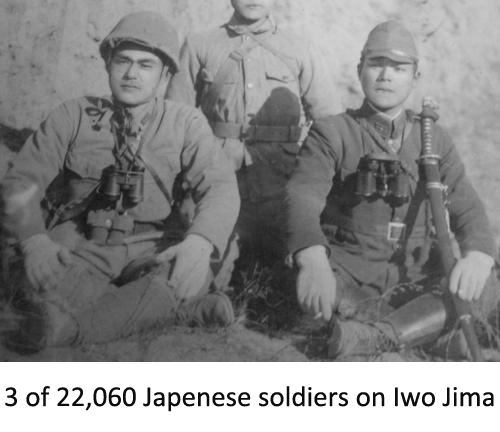 Of the 22,066 Japanese soldiers on the island ALL were killed but 216 soldiers taken as prisoners. 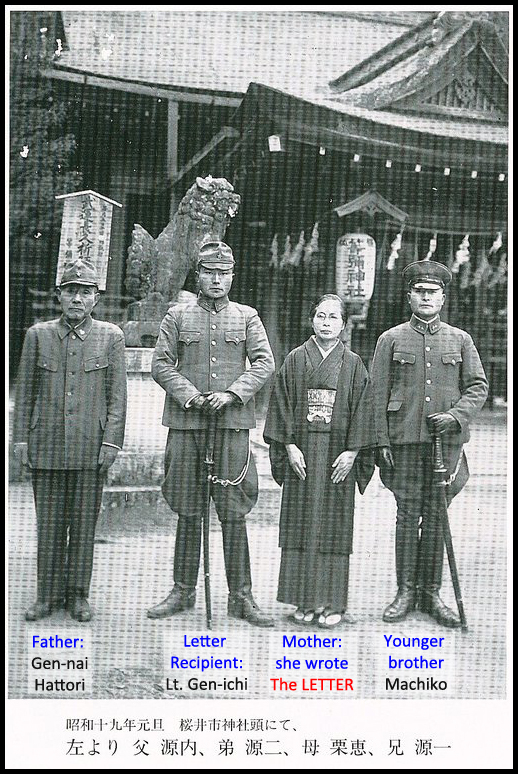 Above all, she tells her son that the family is praying for his victory, and she reassures him that the family is fine, despite that the war is “increasingly getting fierce” as they face “the final showdown” with the American forces. 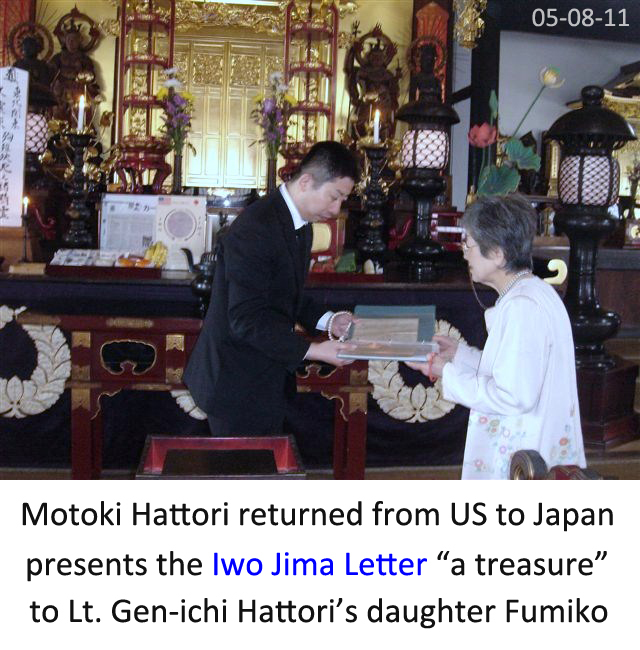 Gentaro Hattori died on Iwo Jima, and for six decades, the letter remained forgotten while in the possession of a WWII Marine’s family. 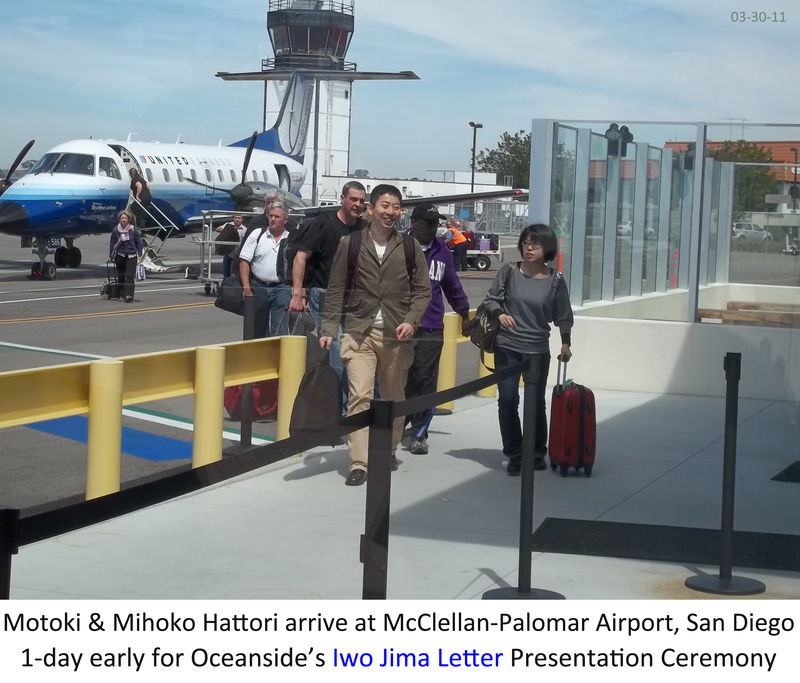 On Friday, [04-01-2011] the missive will be reunited with the Hattori family, as the man who discovered the letter and Gen-ichi Hattori’s grandnephew will meet in Oceanside through the help of two sister-city organizations in Oceanside and Kisarazu, Japan. “We wanted to thank the American who intended to return the letter to our family,” said Motoki Hattori, the grandnephew of the Japanese soldier. “Because we were feeling (sad) that a bone and a memento of Gen-ichi” was not with the family. 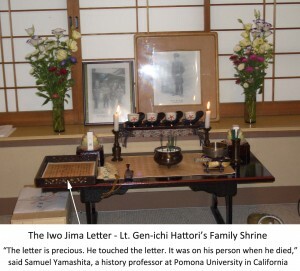 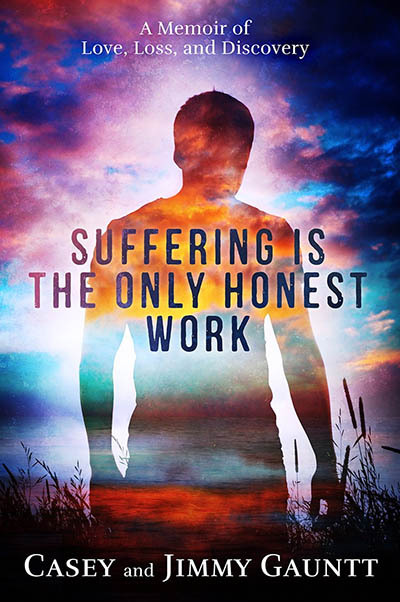 Hattori’s words underscore the importance of the letter to the surviving family. 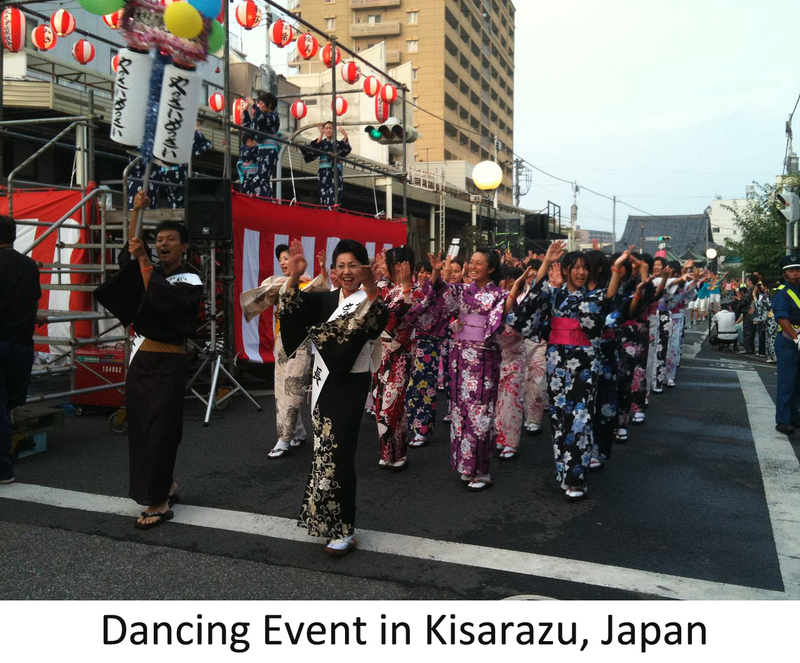 Families, in Buddhist tradition, collect the bones or remains of cremated loved ones, which are kept in an urn in the family’s household to honor, worship and pay tribute to the ancestors. 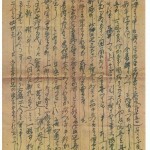 “The letter is precious. 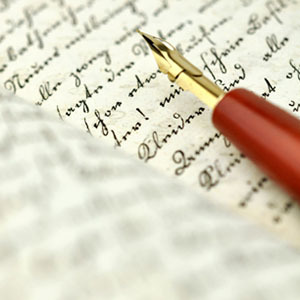 He touched the letter. 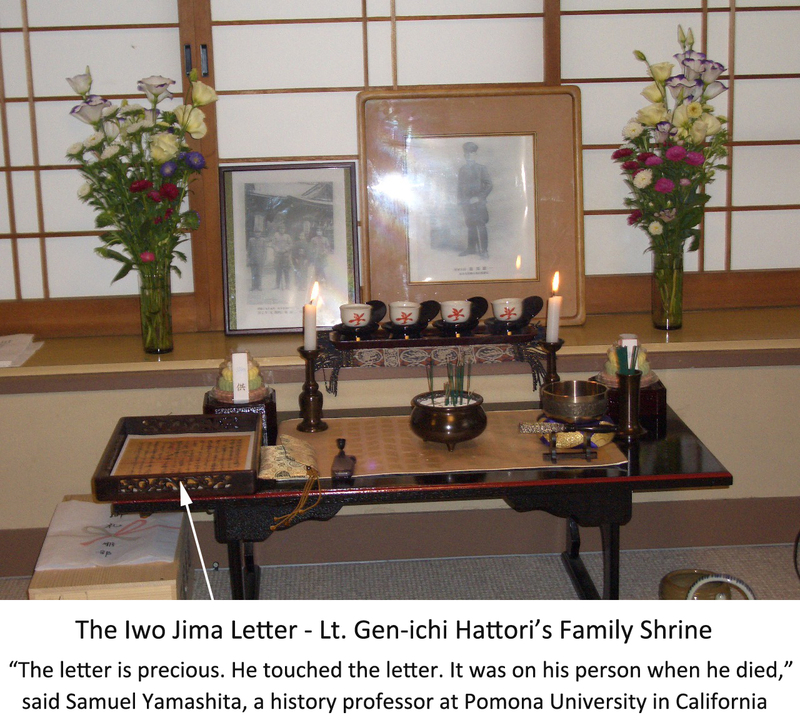 It was on his person when he died,” said Samuel Yamashita, a history professor at Pomona University and author of “Leaves from an Autumn of Emergencies: Selections from the Wartime Diaries of Ordinary Japanese.” The book chronicles the lives of Japanese people during WWII. 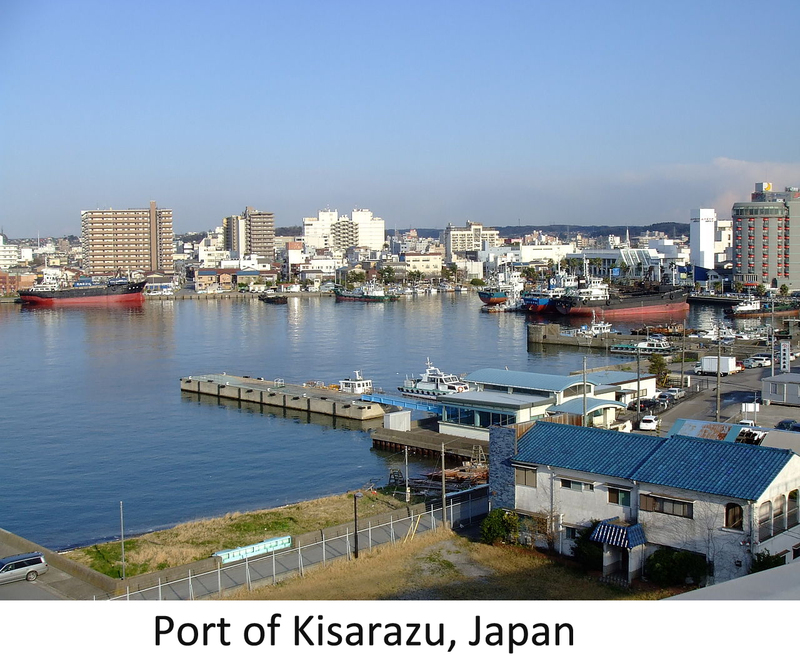 Motoki and his lovely wife Mihoko live outside of the seaside city of Kisarazu, Japan. Here is a pictorial look at that seaside community. Letters and diaries were common during the World War II-era in Japan, and serve as some of the most poignant and vivid accounts of the war on record, Yamashita said. 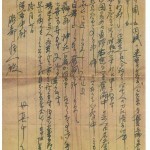 Many letters, however, were heavily vetted and censored to maintain Japanese morale. 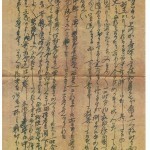 What makes Machiko’s letter unique, Yamashita said, is its strong patriotism, which contrasts many letters and diaries during late 1944, when questions about the war and a sense of defeat began to pervade the country. 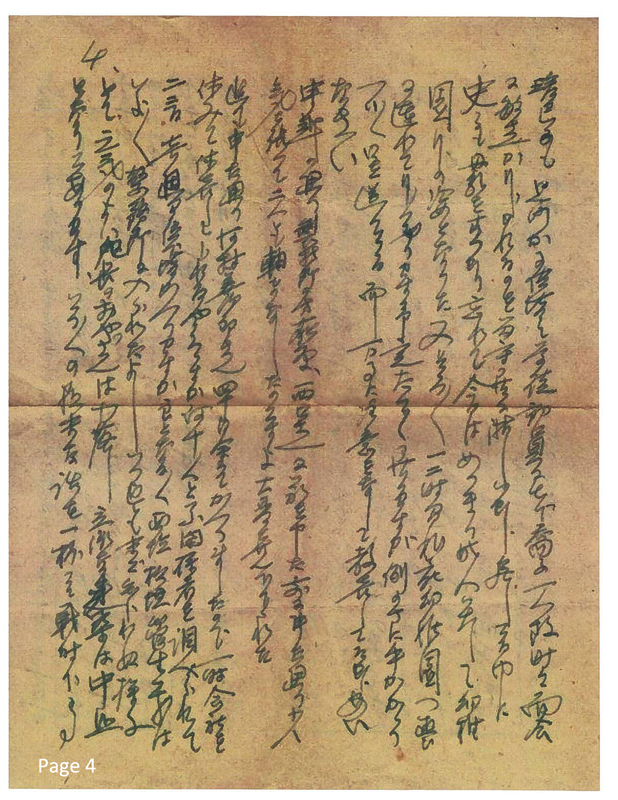 “The word ‘defeat’ appears in diaries beginning the summer of 1944,” Yamashita said. 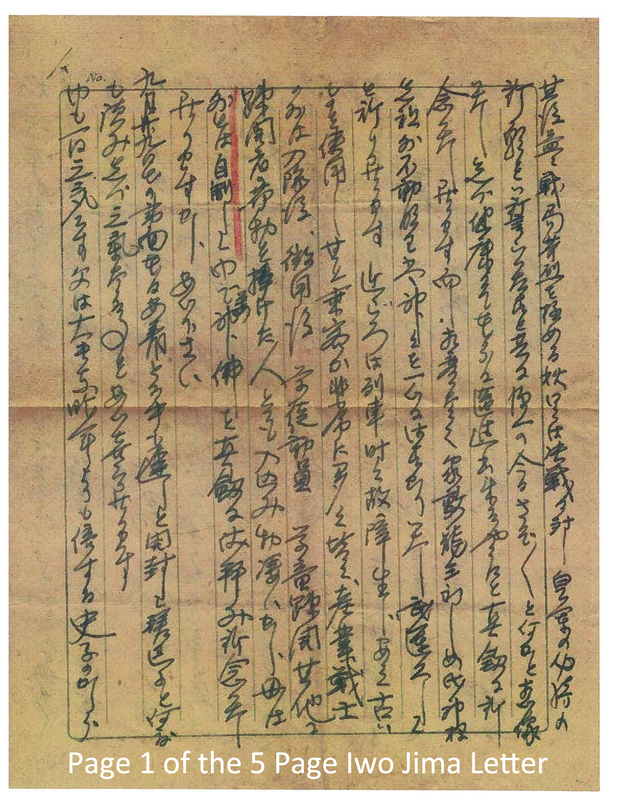 “One thing you can say about this letter is that the writer never questions that her son and the other soldiers were doing the right thing. 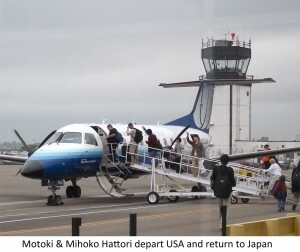 Those involved with finding the soldier’s family called it a “miracle,” amplified by the tragedy of the earthquake and tsunami that struck Japan three weeks ago. 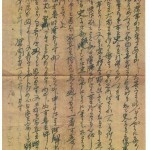 The letter was bought a couple of years ago at a flea market in Charlotte, N.C., by Rex Butler, an antique collector from Cornelius, N.C. It was inside a box that contained other letters and memorabilia, including a map of Iwo Jima. 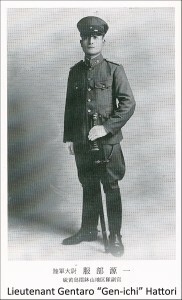 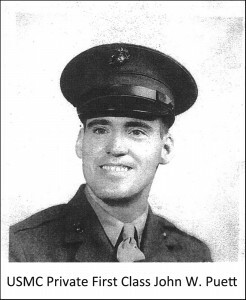 Most of the letters were from John W. Puett, a Marine fighting on the island, written home to his son. 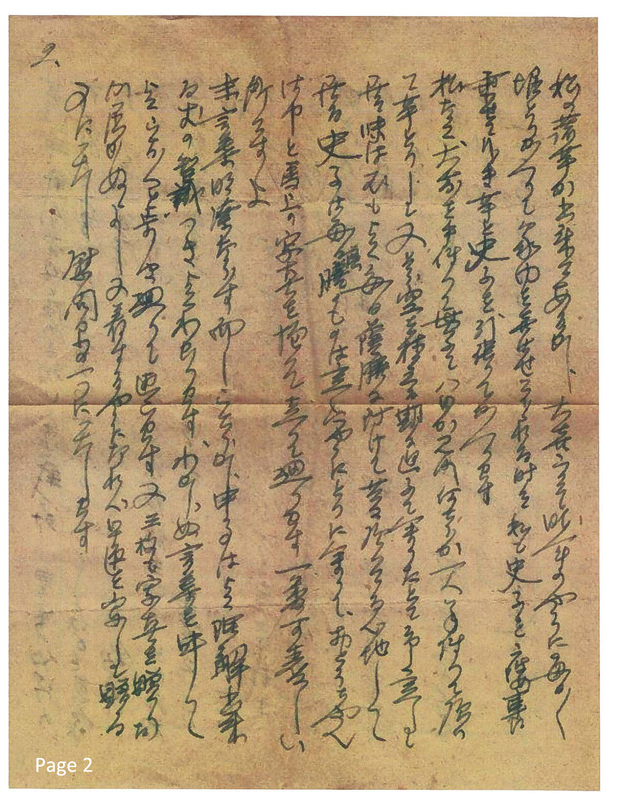 It’s unclear how Puett, who survived the war, got Hattori’s letter. Earlier this year, Butler became curious about its contents. 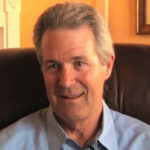 Butler said his passion for all things military and intrigue about the story of how the lives of an American and Japanese soldier intertwined on Iwo Jima motivated him to find both families. 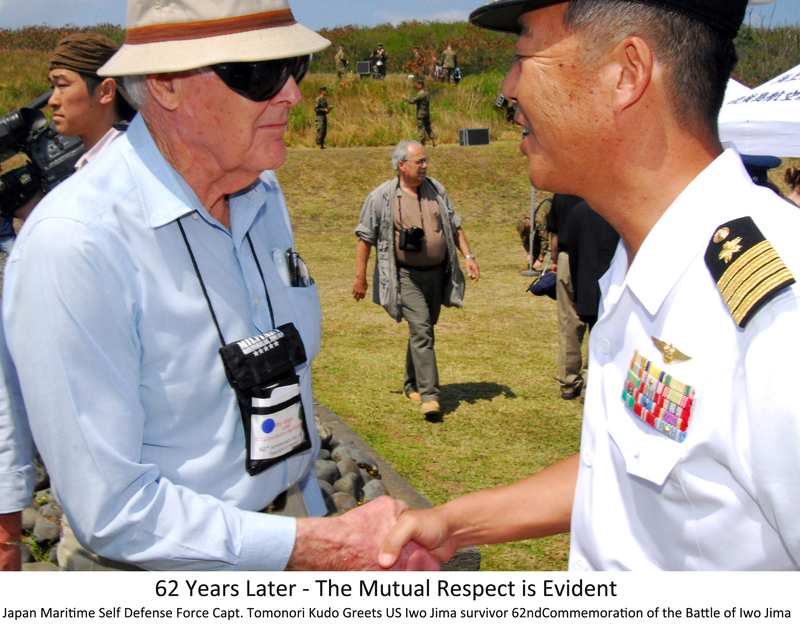 “The respect the Japanese and Marines had for each other on that island was amazing,” said Butler, 58, who will also be in Oceanside for Friday’s ceremony. 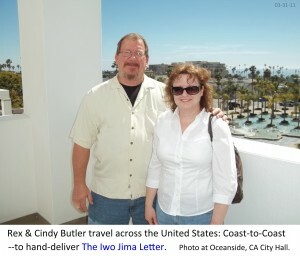 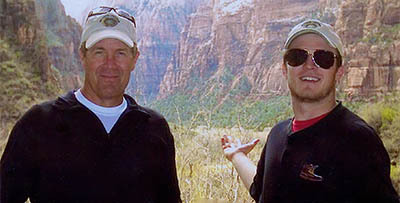 Butler found the Marine’s family by posting the items on a collectors website. 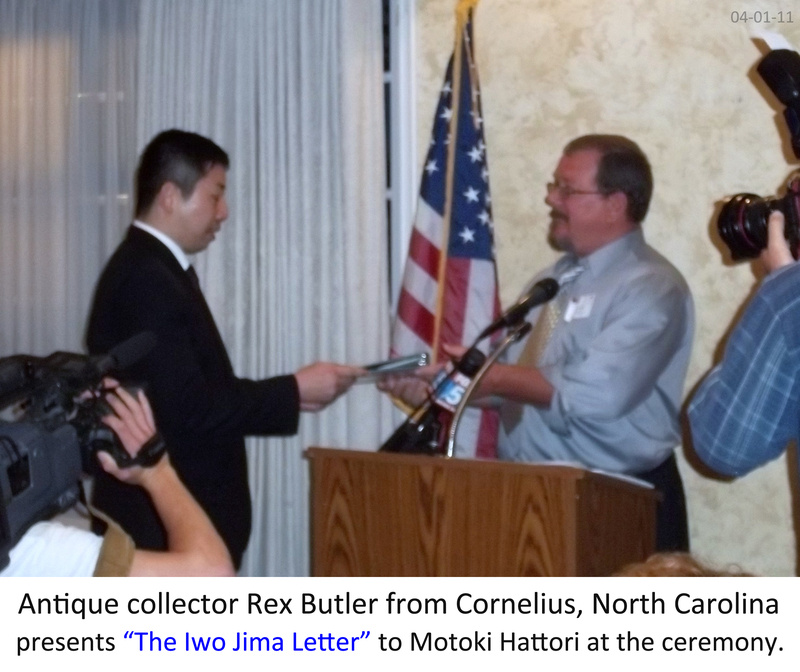 Puett’s son contacted him, and Butler returned the keepsakes, except for the Japanese letter. 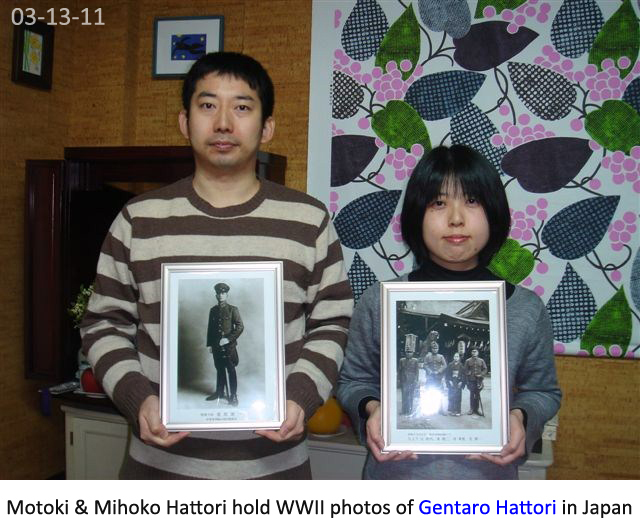 “After that, I figured if I could find the Marine’s son, why couldn’t I find the family of the Japanese soldier,” Butler said. 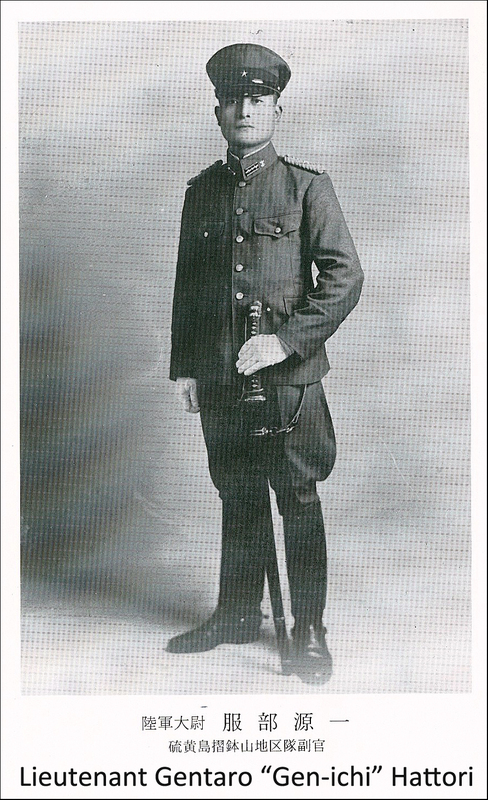 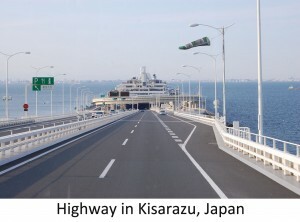 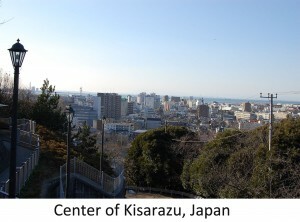 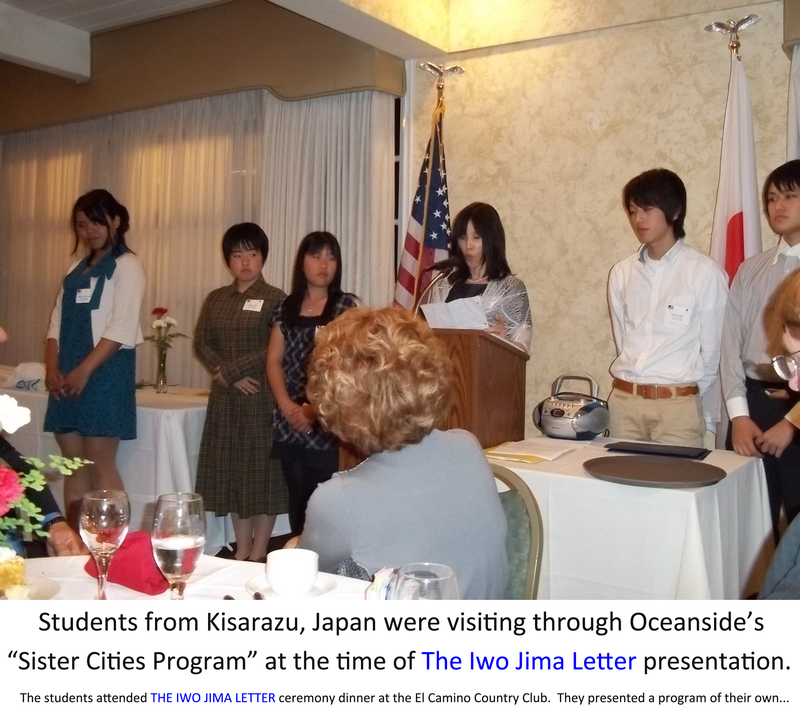 After having a portion of the letter translated, he discovered that the soldier lived near Kisarazu, and through an Internet search, learned that Oceanside and Kisarazu were sister cities. 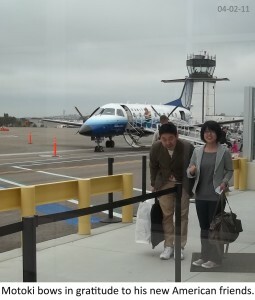 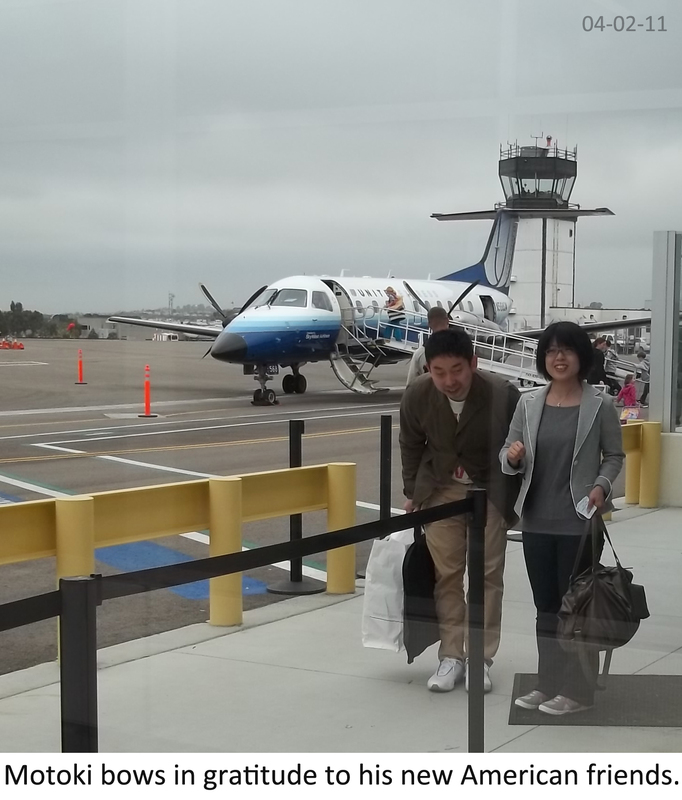 He contacted Prosser, who got in touch with Shinji Kiriishi, a friend from Kisarazu and member of Oceanside’s sister-city counterpart. 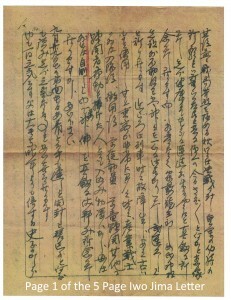 She was able to have the letter translated. 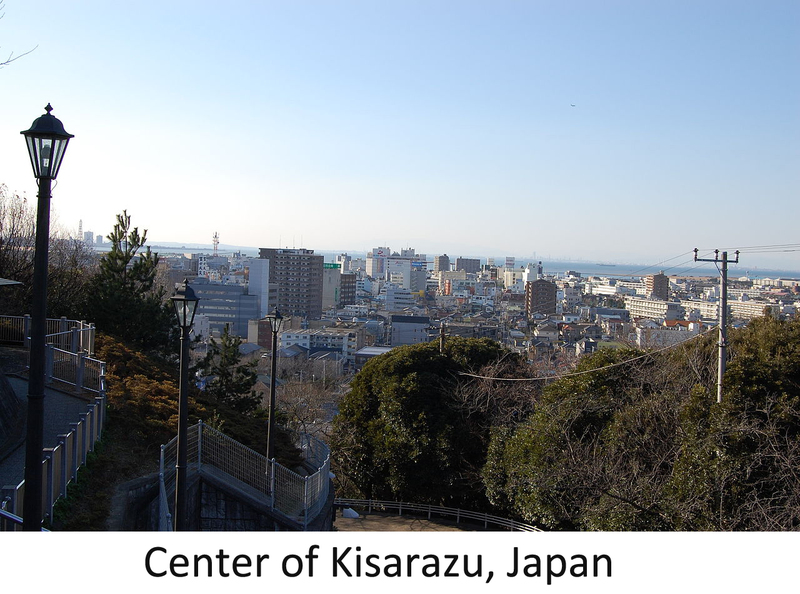 By Feb. 22, Kiriishi had found the family in a town outside Osaka.